I know it's a crazy time of the year to enter into a swap but when I came across this Knitters Coffee Swap today I couldn't pass it up. Ahh the kids' birthdays are over, now the lists for Christmas wishes begin. I asked my husband if he could ship me off to a deserted island until December 26th but this just isn't going to happen. I seem to have no trouble starting things but a heck of a time quitting them or finishing them up. This freaking dog is a huge source of stress in this house. He's a great dog if you like a 50 pound mutt on top of you and following you wherever you go. Yeah, I have 2 children who already do this so adding this dog on top of them pushes me over the edge most days. The freaking barking! The dog barks to hear himself. He's a pitiful watchdog and never lets me know when a complete stranger is IN my house. I have sat down to write the email asking for the rescue group to take him back and the eldest son breaks down in tears and I end up saying to myself , "let's see how it goes for just one more week." This has taken place since we lost our old dog over a year ago. Yep, for a year I've been wanting to place this mutt with another family and just can't seem to close the deal so to speak. I went in to work today to finally quit my job. Somehow they always talk me into just 2 more weeks. I started this quiting process back in January. I just freaking hate to quit anything I start apparently since I'm on the schedule for the next 2 weeks. Oh well more Christmas spending money I suppose. 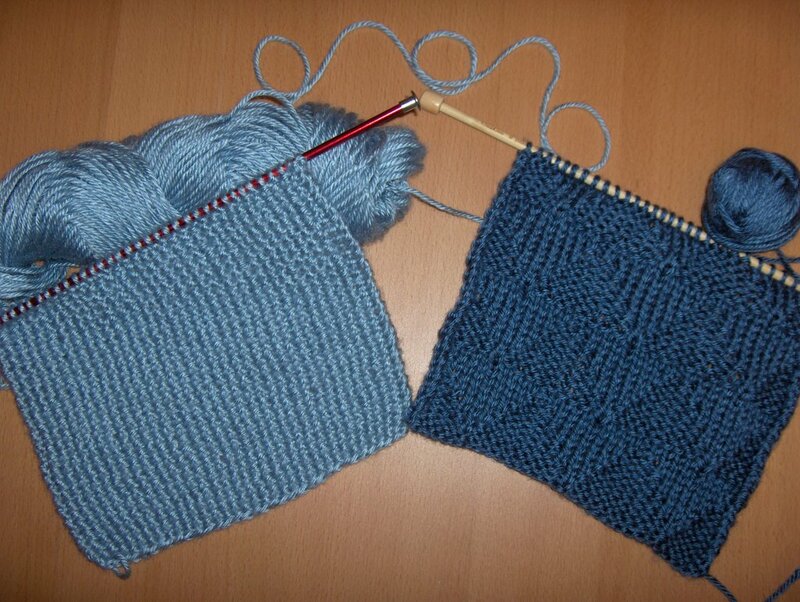 I started working on 2 squares for the WarmUpAmerica charity. 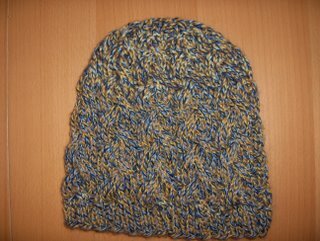 I ripped out the hat from last week and created a hat with lots of cables running up and down. I'm not sure I like it any better but this is what I'm sticking with. 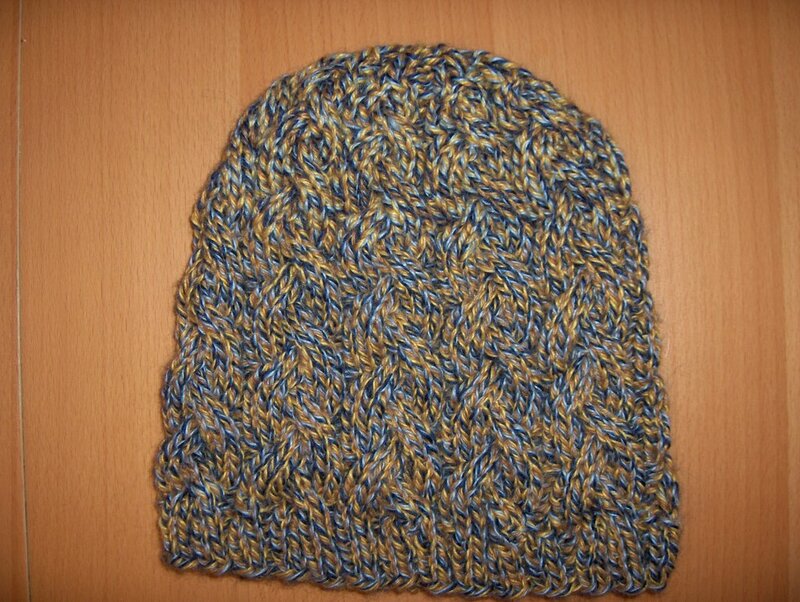 I'm searching for a reversible scarf pattern to pair up with this hat for a gift set. I'm not a big animal fiber person but this Andean silk from Knitpicks works up into a very soft knitted fabric. The weather has been beautiful this past week. We spent lots of time outside biking, hiking, and exploring the past several days. I felt motivated to start 3 knit projects. This is the hat. The pattern taken from 24 hour knitting projects. It's even on the front cover of the book(the lower left corner). I'm ripping it out. 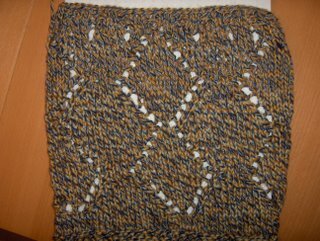 I knit it for someone living in a warm climate in the winter so the holes aren't a problem. I just really hate the look of it. 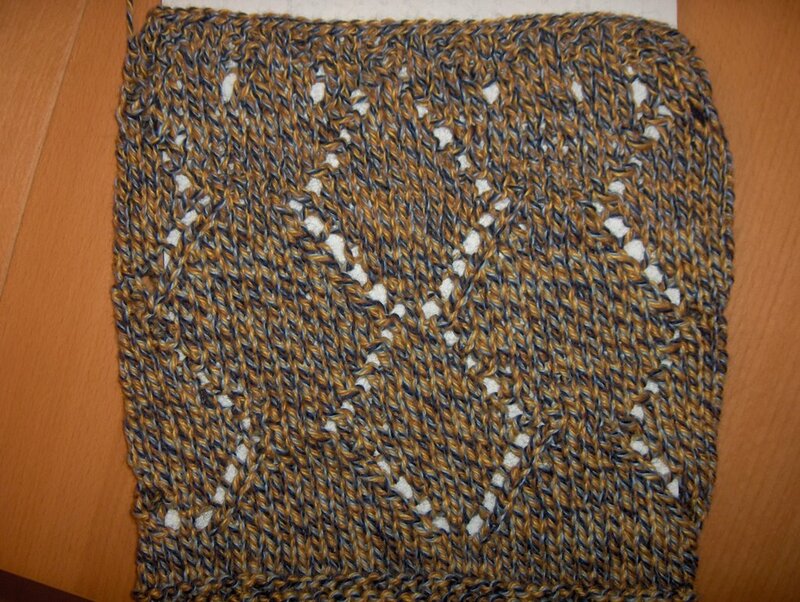 The second project is a scarf from Men in Knits. It's a reversible cabled scarf in black alpaca blend. I think I've finally figured out the chart no thanks to poor advice from a local yarn store who threw me off course. Next is a cabled poncho from this book, Knit and Crochet Ponchos, wraps, and shrugs. I am pretty sure I am reading the directions correctly but it sure doesn't look like the picture of the completed poncho in the book. I'm hoping my fellow kniting comrades can help me figure this out.